Home / News / Grocery prices will continue to rise: how to mitigate the increases? 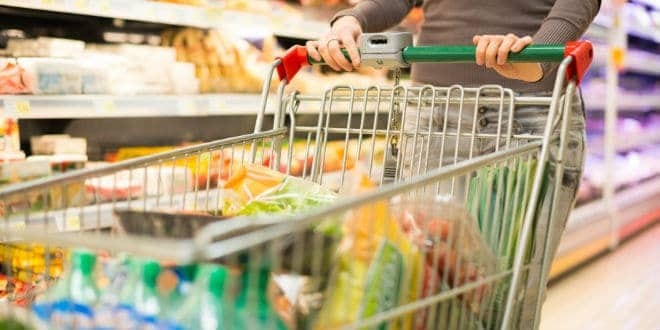 Grocery prices will continue to rise: how to mitigate the increases? 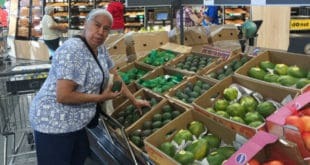 Grocery prices have steadily increased for the past five years, alongside a recent spike in manufacturing and transportation costs, forcing manufacturers and retailers to work together to mitigate the negative impact of price increases, according to consumer packaged goods sales and marketing agency Acosta. 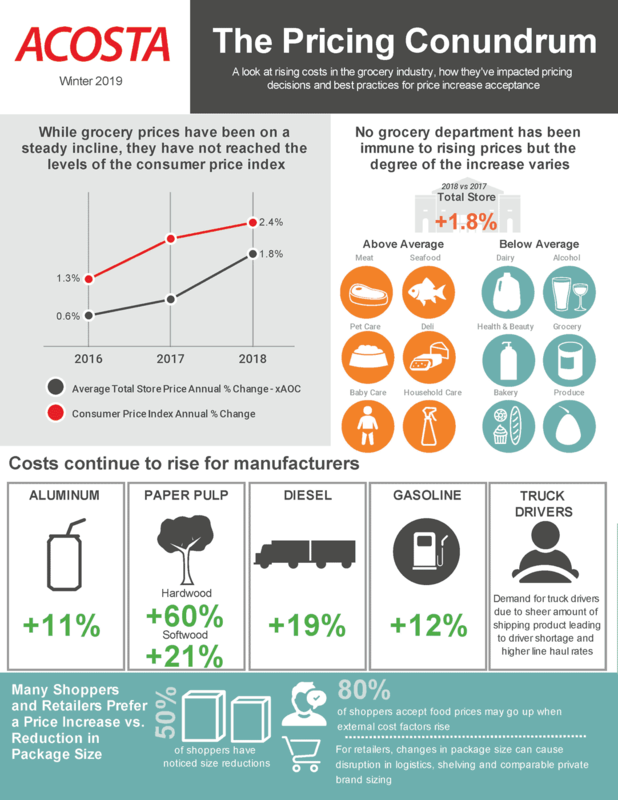 Almost half of manufacturers surveyed for Acosta’s new report The Pricing Conundrum, processed a grocery price increase in 2018, with an average increase of 7.8% and this trend is expected to continue for the next two years. At the same time, both manufacturers and retailers feel pressure to drive sales at the lowest possible costs in a very competitive marketplace where shoppers have a wide range of options on what, where and how to buy. 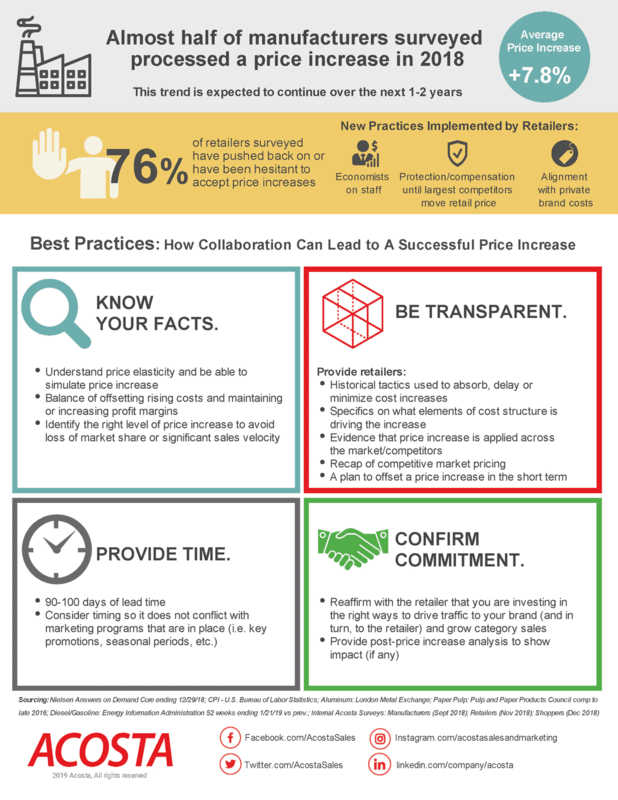 The Pricing Conundrum investigates the impact of grocery price increases and reveals best practices for effective collaboration between manufacturers and retailers, according to Acosta’s press release. 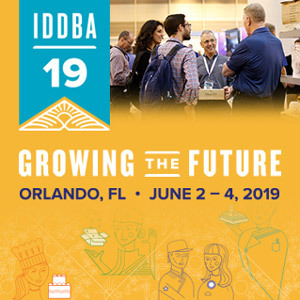 “At times, manufacturers are able to absorb, delay or minimize cost increases, but eventually it becomes necessary to negotiate price increases with retailers,” said John Clevenger, Senior Vice President/Managing Director, Strategic Advisors at Acosta. 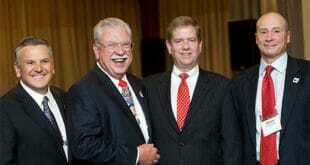 “Seventy-six percent of retailers have pushed back on or have been hesitant to accept price increases. 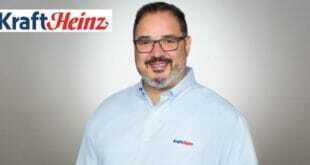 However, we have found that increases are not necessarily a negative, as long as they are executed fairly and equitably across all channels of retail with full transparency,” said Clevenger. No grocery department has been immune to rising tariffs, but the degree of the increase varies. The meat, seafood, pet care, deli, baby care and household care departments are experiencing the highest degree of cost increases. The dairy, alcohol, health & beauty, grocery, bakery and produce departments are experiencing below average price increases. Many shoppers and retailers prefer a rate increase vs. a reduction in package size. Fifty percent of shoppers surveyed noticed size reductions. Eighty percent of shoppers accept food prices may go up when external cost factors rise. Almost half of manufacturers surveyed processed a price increase in 2018, with an average increase of 7.8 percent. The trend is expected to continue for the next one to two years. Retailers are implementing new practices, including adding economists to staff, alignment with private brand costs, and protection/compensation until largest competitors move retail price. Know your facts. Understand price elasticity and be able to simulate the price increase. Identify the right level of price increase to avoid loss of market share or significant sales velocity. Be transparent. Include specifics on what is driving the increase, evidence that the increase is applied across the market/competitors and a plan to offset a cost increase in the short term. Provide time. Ninety to 100 days of lead time is ideal. Ensure timing does not conflict with marketing programs in place for key promotions or seasonal periods. Confirm commitment. Reaffirm with the retailer that you are investing in the right ways to drive traffic to your brand, and in turn, the retailer. 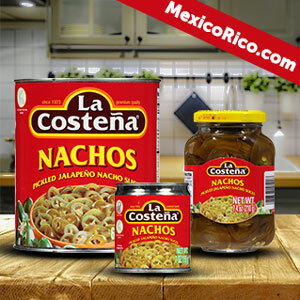 Acosta’s Pricing Conundrum report was compiled using industry data and proprietary information sources including online surveys of the company’s proprietary shopper community.